A revolutionary approach to overcome volatility in the milk market will be launched to dairy farmers this spring. Ann Hardy reports from a farmer meeting in Somerset. Dairy farmers will be offered a breakthrough insurance product within the next three months to protect themselves against volatile milk prices. The product, which is said to be the first of its kind in the world, is intended to make buying milk price insurance as simple as buying car insurance online. Designed to take the risk out of selling milk, it will pay out to producers if the DEFRA farm-gate milk price index drops below a level of the farmer’s choosing. Payment is said to be automatic and without any paperwork or claims process. Stable, the company behind the insurance, is the brainchild of Somerset farmer’s son Richard Counsell. Speaking at an NFU dairy meeting in Somerset this week, he described how financial instruments to protect farmers against volatility had so far been highly complex and ‘designed for financiers’. However, the Stable product has been designed with simplicity in mind and requires the farmer to answer three basic questions to obtain an instant online quote. 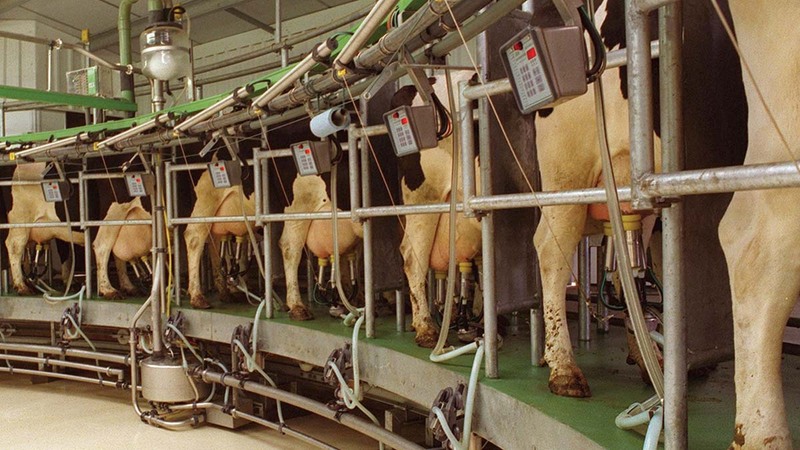 Users specify the number of litres they would like to protect, the time over which protection is required and the price at which they want their milk to be covered. The cost of protecting milk is likely to be around three per cent of the asset price, equating to roughly 1p/litre. The insurance is said to be unique around the world, as it relies on a price index, rather than involving the complexity of calculating a price for each farm. Mr Counsell, who formerly ran software companies in Chicago and worked in London, has worked for three years building the company in a process which began with the Farmers Guardian Agri-Innovation Den in 2015. With further support from a Nuffield Farming Scholarship, he travelled throughout America researching financial products for farmers. However, with help from ‘the best mathematicians in the world’ at Harvard, Liverpool and Lisbon Universities, the team worked on the age-old principle of ‘up horn, down corn’, and tested the truth of the adage using decades’ worth of AHDB data. He alludes to the situation in America where the Department of Agriculture (USDA) discounts the farmer’s insurance premium. Such has been the attraction of the Stable product and methods that the company has now drawn investment from the largest insurance companies and underwriters in the world, including the £38 billion-valued Baloise Group. However, farmers retain a majority holding, with a 60 per cent stake in its ownership.